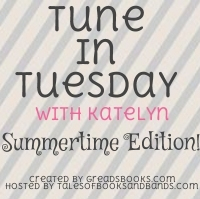 For this week’s Tune in Tuesday, I’ve picked what I think is a quintessential summer song. The guitar lick at the beginning reminds me of “Wipeout!” and other surfing-related anthems, and the entire song is so upbeat and happy! Not to mention, the truly fantastic music video takes place on the beach, so watch out for some classic ’80s graphics! Here’s “I Want Candy” as performed by Bow Wow Wow…but I don’t think they’re really talking about candy. Thanks! Eighties music is my not-so-guilty pleasure.